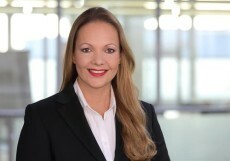 Julia Bangerth is going to succeed Jörg Rabe von Pappenheim as of 1 July 2018. DATEV’s supervisory board has decided to assign Julia Bangerth (44) as of 1 July 2018 chief of human resources. Thus, it sets the course for a smooth succession to the current office holder: Jörg von Pappenheim (64) will leave as planned with the termination of his contract on 30 June 2018 after 14 years as member of the executive board and focus on his activities as lawyer and business consultant. With this decision, the supervisory board consequently continues the rejuvenation of the executive board. Furthermore, with the appointment of Julia Bangerth the board has a second female member besides Diana Windmeißer, board member for finance. Before joining DATEV, fully qualified laywer Bangerth had various positions in the international consulting and engineering company Pöyry PLC, most recently as director of finance and vice president HR Central Europe. From 2004 to 2012 she worked for well-known entertainment companies, among others as CEO and corporate counsel. Since 2016 she is on the DATEV managing board, responsible for human resources.